To find your Suzuki part from a RECYCLER NEAR YOU, just enter the YEAR, MODEL and PART TYPE you wish to locate and your ZIP code in the above form and press the "FIND" button. At PartsHotlines, we know the importance of a personal touch. You are welcome to call us with any questions about your purchase. We still believe in service. When you call PartsHotlines, that's what you'll get: a live human on the phone. Since PartsHotlines uses a live search, additional results may come in after your results display. To see the additional parts we've found just click the See More Parts button at the top of your screen. PartsHotlines uses your zip code to sort the results of our live search in closest order to you. You'll find your part in your back yard if there's one available! While you're thinking about your vehicle - check your brake rotors, starters, and alternators. 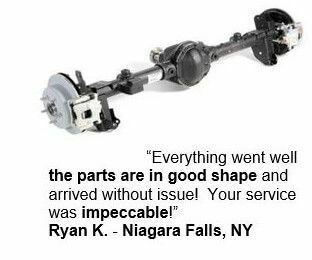 These parts can also be bought used and can help your vehicle run better. Our recyclers work to assess the condition of each item as they dismantle it to ensure it meets their high quality standards. Each vehicle processed by an auto salvage yard has an average of 40 liters of fluids removed from it, which are then disposed of responsibly or re-used by the recycler. 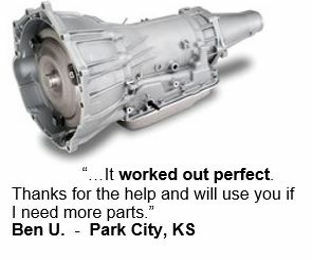 Our salvage yards discount auto parts are a great option for your car. They are quality inspected and road tested! Steel mills can reduce their air pollution by up to 86% and their water pollution by 76% when they substitute low-sulphur scrap metal from salvage yards for their normal high-sulphur raw ore. 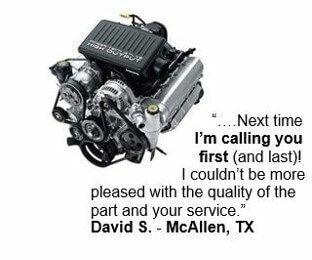 Performing to the original standards, our parts provide you a great savings without sacrificing any quality. Our recyclers have the lowest possible prices for you. And you can shop with confidence knowing that PartsHotlines Customer Support is available to help you find what you need.